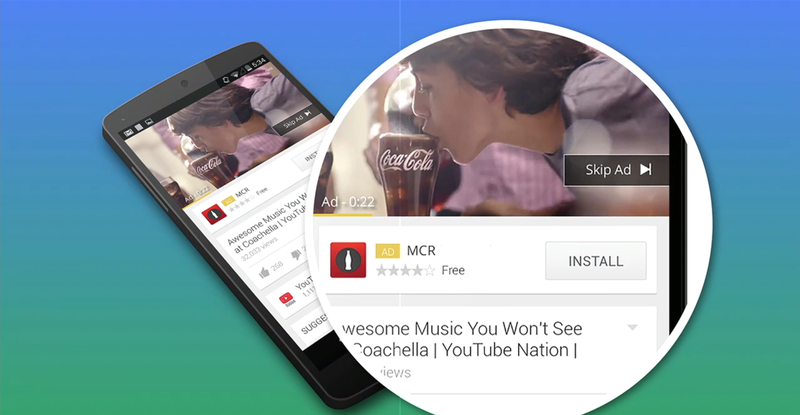 Google today announced plans to bring targeted mobile app install ads to YouTube and Search. Through the Google Play store, the company is already able to analyse which search terms result in the highest number of downloads for any given app category. If someone is looking for a last minute hotel room, for instance, they’ll likely search with some of those terms. Google will now suggest those keywords to developers and advertisers, so they can purchase mobile app install ads that arise when someone uses those terms in YouTube or Search. If “fitness apps” leads to higher downloads of running apps, for example, Nike+ Running will be able to pay for ads that arise when those specific keywords are submitted. For YouTube, it looks like the mobile app install ads could also be linked to the pre-roll ads already shown on the video-sharing platform. In a screenshot, the Android app was shown with a subtle yellow highlight at the bottom of the pre-roll ad, with a matching ‘AD’ symbol for the mobile app install ad underneath. 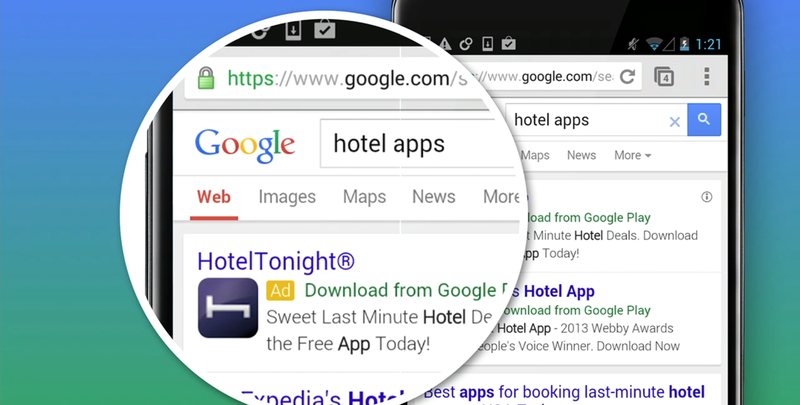 Google also revealed plans to promote increased app usage with an advertising tool called “deep ad linking”. In those same ad spaces across Search and YouTube, users that have already downloaded the app will see a similar ad unit – but with “Download” swapped out for “Open”. So if the user is again searching for last minute hotels, they’ll be reminded of any relevant apps on their smartphone or tablet. As another example, Google showed how searching for the latest Deadbeat episode could trigger an enticing “Watch Now” shortcut to the Hulu Plus app. “A great user experience, but from the advertiser’s perspective it drives more conversions,” Jerry Dischler, vice president of product management for AdWords at Google said. These features will roll out to AdWords customers over the coming months. Google is currently livestreaming the announcement on YouTube, but you can rewind the video player to catch-up with today’s announcements.